WHY USE THE SKIP BAG? Gives you full control of your household clearence, garden tidying and so on. 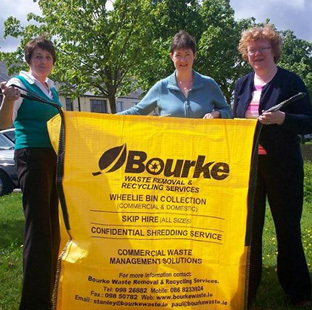 Skip bags are a cost effective alternative to the traditional skip. It makes the collection and disposal of waste easier than before. Our skip bag comes in one size, flat packed, in an easy to transport carrier bag. Call 098 26882 to arrange collection.